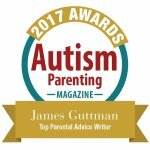 What To Say To The Parent Of A Child With Autism – Hi Blog! I'm Dad. Each parent of a child with Autism has two things in common with all the rest. Obviously, they are all parents of children with Autism. The other, maybe not so obvious, is that we were all, at one time, not the parents of children with Autism. It’s blurry in the rear-view, but there was a time before Autism was ever a factor in our family. It feels like a lifetime ago and, when I remember back to those days, I can recall the confusion and fear that it brought with it. It helps me relate to those who meet my non-verbal son on the Autism spectrum. It allows me to understand a lot of the awkward statements they might make and, most times, differentiate the many that come from a place of caring from the few that don’t. While I’ve learned to understand those misspoken words a bit more, I used to hate that I would be expected to just endure them at the time as if the uncomfortable nature of it all was somehow my responsibility. The common response when I expressed my displeasure about this to someone was a shoulder shrug and a familiar phrase. They don’t know what else to say. I get that. I also get that this is not a concept exclusive to Autism or even special needs in general. Whenever someone hears of something foreign to them, they will often fumble over words for the right response. The world is full of many freshly-admonished, but well-meaning, great-grandmas who angrily ask, “What? We can’t say that anymore? !” Many times it has nothing at all to do with Autism. Obviously, some statements are completely ridiculous and not what I’m here to address, but I will give you one insane example so as to illustrate the difference. Once, when Lucas was roughly about three, we were out to dinner with some people. My son, while sitting in his highchair began waving his arms in the air over something that had caught his attention. Hi! Hi, Lucas! Look, he waved to me! I don’t think he meant it, but whatever. I’ll take it! Ha ha! I wanted to fling the spinach artichoke dip at her cackling face. I forget my response but it was something about how he probably didn’t mean it because no one would want to wave to her. She laughed at my comment. So did. I. That’s what you do when you have kids. You sometimes have to bite your lip and make witty banter with dipsticks so your children don’t have memories of you going buck at the Olive Garden. While I don’t think that it was a cold and calculated attack on our feelings, it was an example of someone just letting words dribble from their mouth without taking time to think about how it affects anyone else. And that’s not the person I’m writing this for. It’s not about those who routinely say the wrong thing to anyone about anything. This is for those who speak from a place of love. It’s for those who want to make sure they don’t inadvertently make their friend feel bad about something that, frankly, they shouldn’t feel bad about. Through the years, I’ve found that there are actually two little things that can make a response to my son’s Autism go from fine to not. It’s pretty simple and, although I can’t speak for everyone in my position, I can speak for myself. Two words. He’s such a sweet kid. That’s nice, right? He is. In fact, when we were at the point of first telling people, we had been getting very few compliments about our son at a time when most children are basked with glowing praise at every turn. All we were hearing about were missed milestones and long roads ahead. Giving the child a compliment – a real compliment – goes a long way in that moment. Oh, but he’s such a sweet kid. Just by adding those two words, it all changes. No longer is the person just complimenting my son, they’re also implying that Autism, this new part of our lives that we already have misplaced fear about, is a bad thing. When someone says “but” before something good, it makes you feel like everything that was said before it was bad. We all know it’s easy to list all the things you shouldn’t say. You shouldn’t offer medical advice or share conspiracy theories. There should be no attempts to tell your friend that maybe they’re wrong or their child will “just come around”. You shouldn’t say they don’t look like they have Autism or anything that makes it seem like Autism is something to avoid being associated with. None of those things help. Then again, that’s stuff you hear about all the time. Knowing what not to say is fairly common and just half the job. So what should you say? Well, to me there was only one statement that always fits. I’ve said it many times and it’s been true in every single situation where it comes up. It sounds insincere, right? How could such a grand statement be true in every scenario? Well, simple. It’s because they’re taking the time to question and nurture their child’s development. They’re making attempts to help them at an age when they most require it and not standing in the way of everything that needs to be done to see them succeed. They’re doing everything right. It’s the parents who shrug it off under the guise of, “My kid is fine” that are really doing a disservice to their child. Those are the kids who aren’t lucky to have a parent like that. At the end of the day, it’s hard for a new parent to a kid with special needs to say certain truths out loud. How you respond can make all the difference in the world. You don’t need to have all the answers or an inspiring quote. Say what’s good about your friend and their child without suggesting that it’s counteracting something “bad” and you’ll turn a tense moment into a comforting memory they’ll never forget.